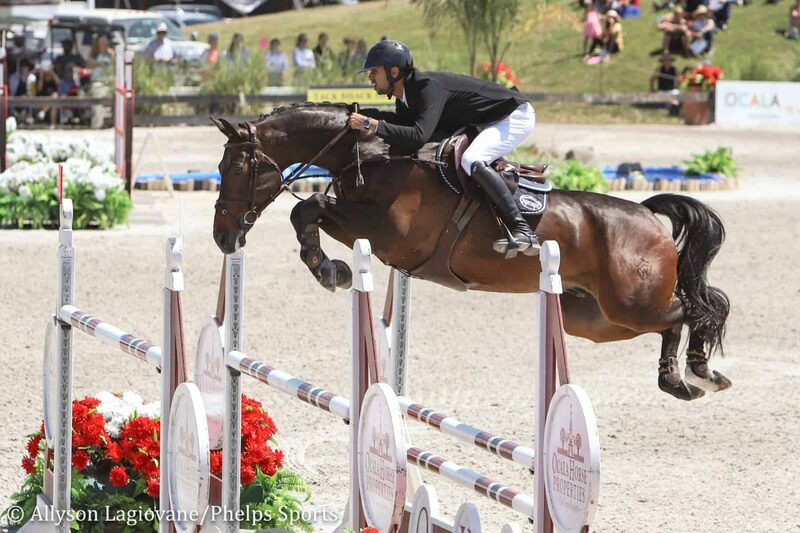 Nayel Nassar and Lucifer V, owned by Evergate Stables LLC, cruised to the win on Sunday March 24th at the Great American $1 Million Grand Prix in the Ocala Horse Properties’ Stadium at HITS Post Time Farm. This is Nassar’s third HITS Million Grand Prix victory, which also includes a win at the 2018 HITS AIG $1 Million Grand Prix in Thermal, and a 2013 win at HITS, Saugerties! On Nassar’s heals, but just unable to catch him by a solid second, was Ireland’s Ireland’s Paul O’Shea and Tequestrian Farms’ Imerald Van’t Voorhof. This pair has also had an enormously successful season, just off a big win in February at the CP Palm Beach Masters. 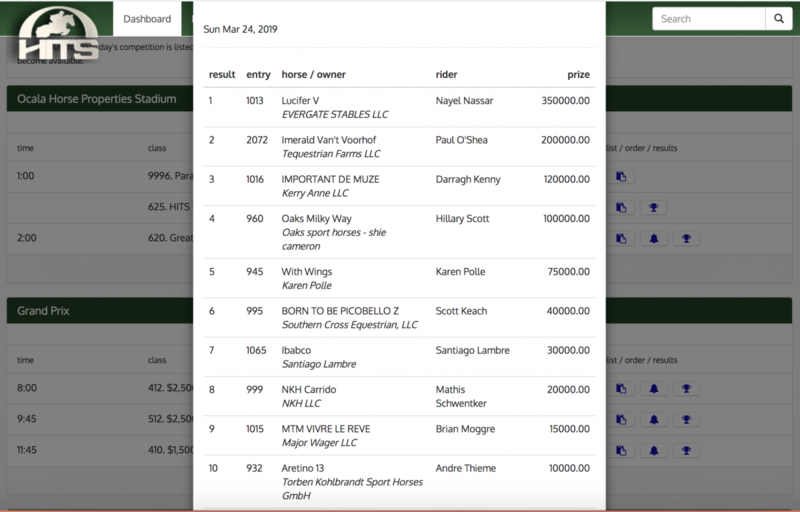 Ireland also muscled their way into the top 3 with Darragh Kenny aboard Kerry Anne LLC’s Important De Muze, who also could not quite catch Nassar’s quick and tidy round. The top 10 in the final results was a fine representation of international equestrian sport being showcased here in Marion County. Riders represented Egypt, Ireland, Japan, Mexico, Germany and the USA all took part in the final victory gallop. Ocala Horse Properties’ wants to extend a special congratulations to Ocala’s own Scott Keach and Southern Cross Equestrian’s Born to Be Picobello Z, who nearly pulled off a clear round till the final jump where they had one down. With the conclusion of the Great American $1 Million Grand Prix in the Ocala Horse Properties’ Stadium, this brings the HITS Ocala Winter Circuit to a close for the 2019 season. We are always eager to support our regional horse show community and we’re happy to see it thriving in our back yard. As always, supporting Ocala’s equestrian world is a core passion for the team at Ocala Horse Properties. We truly enjoy being involved with these show venues and look forward to the future growth in our region as we see more horse enthusiasts moving to our home town! To read more about the the GAM $1M and to read the full press conference interview with Nassar, please see the link below. courtesy Phelps Media Group. Final Top 10 Results Below!